After 300 hours of usage on your Ram Air Recovery System and Aerodynamic Speed Stacks, I feel obliged and competent to comment on the performance increases I am seeing. As you know, Trend Monitoring was in place prior to your modifications and is still being used. When I took delivery of N341MH, after your modifications, for a moment, I thought I had walked to the wrong aircraft! It looked so different, a totally smoother, and more attractive machine. Like most, just after we purchased our new/used E-90, I took numerous photos, from various angles of the new arrival. It was only after comparing the photos of pre-mod. and post-mod. that I fully realized and appreciated the esthetic change. Not only the nacelles, but the entire aircraft looks considerably longer, more streamlined, and flowing. I am still amazed, 300 hours later, at the number of pilots and people on the ramp that stop, look and ask questions. Our torque readings at any altitude have increased by an average of 150 pounds and we are never “temp” limited. Our oil temps, at lower altitudes, are lower by 3 to 4 degrees and the oil pressure increased about 3 to 4 pounds per side at all altitudes. True air speeds at 15,000 feet now average 264 knots. I have yet to be corrected that, “N341MH is the fastest -28 powered E-90 in the world.” And since your modifications, fuel burns are slightly less. Even after 300 hours, no loose screws, nuts, or fasteners. No missing rivets, no loose bonding or fillers, and no visible cracks or flaws – the installation was superb. Feel free to use this letter as necessary and I will be happy to confirm or show proof of any of the statements herein mentioned. 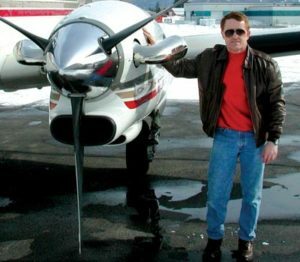 As I write this letter, I am cruising at 25,000 feet in the 1975 King Air N660GW. 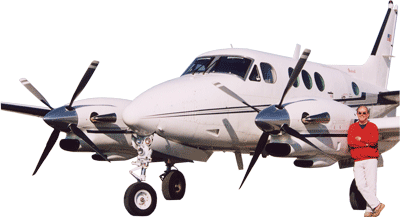 I must say that as much as your Ram Air Recovery System and Speed Stacks improves the Cheyenne, it helps the King Air even more. I have enclosed the climb and cruise performance on our trip home from Coeur d’Alene Airport to Fort Dodge. The improvement is unbelievable! Even with the ice vanes deployed, the airplane is faster than it was before, with them stowed. I’m now able to cruise at high altitude and get even higher speeds than I used to get at FL180. The fuel burn is much lower at FL250, and with the higher true air speed, the range is significantly extended. 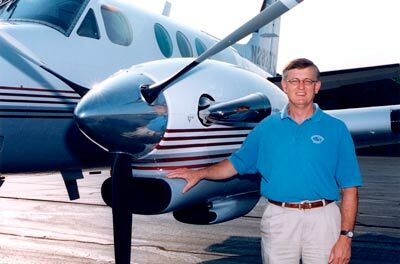 The money spent for your system will be the best investment a King Air owner ever makes. It also greatly improves the appearance of the aircraft. We landed with approximately 1300 lbs. of fuel after the 1010NM trip with average tail wind of 55 knots. We could have flown the trip with a 50 knot head wind and still landed with reserves. The figures were used from the pilot’s airspeed indicator, which reads 2-3 knots slower than the copilots. Thanks again for installing the Ram Air and Speed Stacks on my E-90. Your shop did a beautiful job with the installation. As promised, I am reporting back to you with the performance changes I am seeing. I can tell you the rate of climb is now dramatically better, probably because I have about 100 lbs. more torque available from each engine from the mid-teens up to altitude. My cruising speed is now averaging nineteen to twenty knots faster and the fuel flow is the same or sometimes ten pounds more fuel per hour per engine. I think my actual fuel consumption for each trip is probably down a little now that I tend to fly at higher altitudes and go faster with the same fuel burn. Please give my complements to your design team as well. The airplane now has a much more modern appearance. It even looks 20 knots faster.